Job lost the farm, Samuel went into foster care, Jonah was mad at God. The characters of the Bible were real people facing real challenges not unlike those we face today. Whether reading their stories for the first time, or re-visiting familiar scenes, Bible Stories for Big People has fresh insights to offer every reader. The book focuses on the stories of twelve Old Testament characters, retold in today's vernacular. Supported by personal anecdotes, each account extracts the spiritual truths that can be applied in everyday life and experience. 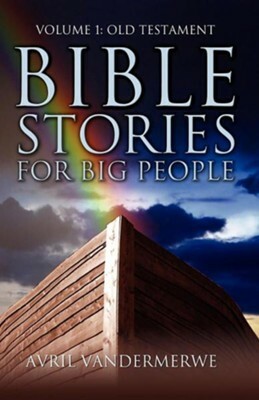 Bible Stories for Big People enlightens, encourages, challenges and inspires. I'm the author/artist and I want to review Bible Stories for Big People: Volume1: Old Testament.